We’ve worked with quite a few baby firms over the years and we see them often trip over the same stumbling blocks time and time again. So today we thought we’d help you go over some warning signs and how you can outsource bookkeeping to avoid them. There are really two big hurdles under the category of hiring. The first comes when you hire the wrong people. Say for example you have a current client who wants you to handle more of their tax work, but you don’t have the expertise to take on the request yourself. So you put in the loads of time and money required to hire yourself an expert when you could outsource bookkeeping instead. The new hire can do the new work at least adequately, so you think all is well. However, as time goes on you find that while they have at least passable skills they aren’t on your team. Maybe they’re dreaming of using you as a stepping stone to leap to one of the big firms. Or perhaps there’s a personality conflict and the person simply doesn’t want to join in on your dream of creating something amazing with your firm. You’ve now got an anchor while you’re trying to sail ahead. If you choose to let them go you’re going to face severance payments. If you choose to let them stay they’re just going to continue to be a complete drag on your morale. The second problem with hiring in-house instead looking to outsource bookkeeping is that a specialist may simply not have enough work to make them worthwhile. It can become a serious balancing act deciding if you want to keep that client who wants the extra services versus paying for an extraneous team member. But if you outsource bookkeeping you can sweep away both problems. You don’t have to risk bringing someone under your roof that might prove a detriment to your overall goals. You also don’t have to maintain the overhead involved with keeping on someone who doesn’t have enough work to justify their cost – you only pay when you need the extra help. Added bonus – you don’t have to put in the costs and time associated with hiring someone. 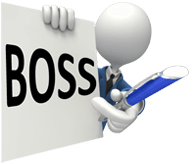 BOSS’ overseas teams are all pre-vetted and have at the very least 6 months (and usually years) of professional-level accounting experience. Who is you ideal client? What sort of people do you like working with the most? A big mistake is trying to be all things to all people of all markets. First of all, you’re going to have to shotgun your marketing, which is a big waste of money. Second, you’re going to have to wait much longer for word of your abilities to spread. However, if you focus on a niche market like helping new small business owners get over their first year financial worries then word will spread much faster because the recommendations are reinforcing each other within a closed circle. Once you have a satisfied base of clients they’re going to want you to handle more of their affairs like their personal taxes. If you outsource bookkeeping it will help you handle the increased workload from the increasing number of referrals and we will also be there for you when you want to expand your menu of services with qualified workers who can handle the extended workload. 3. Outsource bookkeeping to leave more time for marketing. Marketing can take a lot of time, and there’s a learning curve involved before you can really market yourself in an effective manner. In order to save marketing time and money you might be tempted to grab hold of as many clients as you possibly can right away, even if it means you can’t handle the workload. However you must remember that the quality of the work you do is a major part of your marketing in and of itself. Sloppy work can become your brand if you let it. But if you outsource bookkeeping then your compliance workload is significantly reduced – you become the person who gathers the info from your client, and then you collate it and send it off to your overseas team. Your overseas workers are going to return top tier work on the files which makes you look good because you’re returning quality work in a timely fashion – and that of course is the best kind of brand that you could ask for.